Leslie's 3-year struggle with unemployment was so severe, her story was covered nationally by Yahoo's "Remake America" series, a reality-style documentary that chronicled the lives of several workers around the country who were battling unemployment. Leslie's resumé wasn't getting results, so she came to Perfect Resumé for help. We helped her understand how her resumé was generic, poorly written, and did not play to her strengths as a salesperson. We rewrote Leslie's resumé from scratch using our proprietary resuméCREATION process. Our process uncovered several new skills, strengths, and accomplishments that were previously not included on Leslie's resumé. This new information allowed us to create a customized document that leveraged her industry specific skills and accomplishments. We also made sure her new resumé included all of the important keywords that are relevant and critical to her industry. Leslie knew very little about LinkedIn when we began working with her. After educating her about the power and importance of the site, she decided to purchase our LinkedInREVAMP service. Using many of the same techniques that employed on her resumé, we created a profile that highlighted her impressive accomplishments and track record of success in several different industries. Her new and improved LinkedIn profile also made it easier for recruiters to find her. Leslie devoted some time each day to build and grow her professional network, eventually making over 500 connections. Soon, some of these connections started contacting her for interviews. One even hired her in the end! Like many of our clients, Leslie struggled with words, lacked confidence, and did not know how to properly market herself during interviews. So, in our interview strategy session, we gave Leslie some useful tools and strategies to use. With some practice and coaching, Leslie was beaming with confidence. After her interviews, she called us elated that the strategy and techniques we provided worked so well. If you're not getting these kinds of results from your resume, LinkedIn profile, or interviews, we encourage you to give us a call. You might find like so many others that with the right team on your side, you're just weeks away from your dream job. 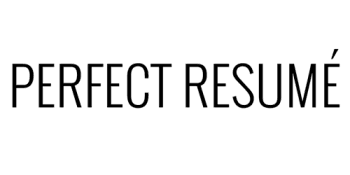 "I love the service I received from Perfect Resumé! About a year ago I had my resumé everywhere (even with a temp agency) and was getting little to no response. I worked with Perfect Resumé to revise my resumé and had a new job within 2 weeks! I've recommended Perfect Resumé to all of my family and friends." "I got a job using Perfect Resumé and so did one of my friends who I referred to them. If that doesn't prove that Perfect Resumé is an outstanding service I don't know what does!" "You said my resumé would get results and you weren't kidding! It's been less than 2 weeks since I received my resumé from Perfect Resumé. I already had a first interview this week and am scheduled to have a second interview next week." "I had to email you guys to let you know I just accepted a job offer today. Thank you so much!"